A few months back a lady contacted me form the USA to see if I would be interested in a project she had, of course I was intrigued to see what it was. 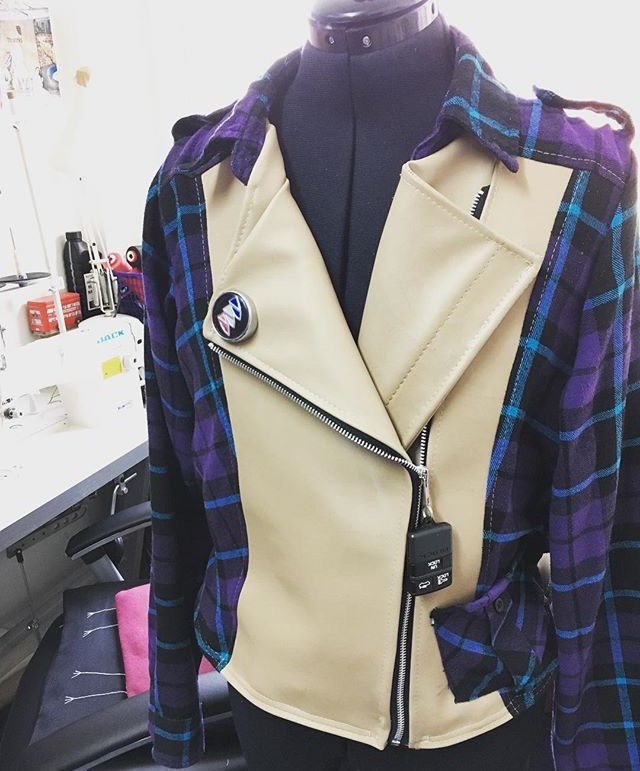 It was to create a custom jacket using leather from her old Buick car, a favourite flannel shirt and if possible to use the badges/ keys from the car. 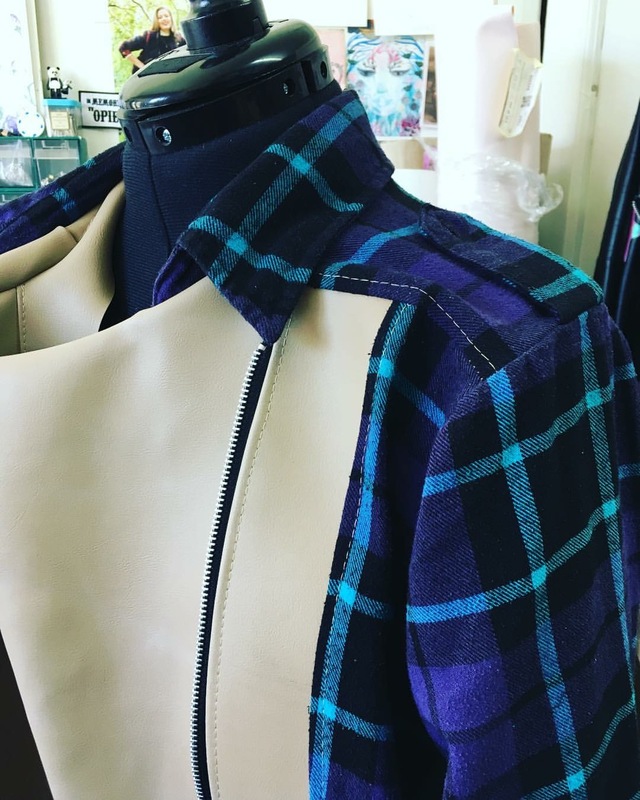 As there wasn’t a lot of leather for the whole jacket I just used it for certain panels then the flannel shirt for the rest. I also re used the sleeves, collar, pockets and shoulder epaulettes of the shirt for detailing on the jacket. The leather was very tricky to use as it was very thick and not usually used for clothing but it slowly started to soften off and fall in to place. I made the badges off the car in to pins so the lady could pin them wherever she wanted and use them elsewhere if needed. This was a tough but fun challenge and the outcome of the jacket looked so good, the colours just seem to work so well together. A few pictures of the result, in future I must remember to take pictures of it coming together!